This album is a unique collaboration between Eric Vloeimans and a full scale classical orchestra. Together with the orchestra and conductor Jurjen Hempel, Vloeimans strikes a bridge between many different styles, from classical to jazz, from western to eastern. The principle work on this album is in fact Vloeimans’ very own trumpet concerto, Evensong in four movements which he wrote in collaboration with composer and arranger Martin Fondse. 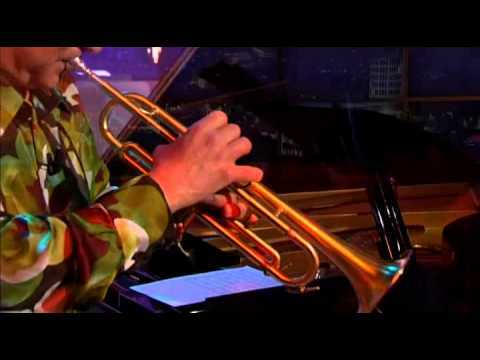 The piece Lex was written as the film score to the film Auditie/Audition (2011) an animation film about Lex van Weeren (1920-1996), a Jewish trumpet player and orchestra conductor who survived Auschwitz because he became the camp orchestra conductor and trumpet player in the camp orchestra. Waterfront was written for an open air concert at the Kralingse Plas lake and was in fact inspired by the music Leonard Bernstein wrote for the Oscar award winning film On the Waterfront. It has all the elements we expect from a film score: a long opening shot, introduction of the main character, suspense and high-energy action scene, to wind up with the finale: the title song. About the piece Requiem, Vloeimans states: I had no firm plans to write a classical requiem. Nothing serious had happened in my life that would call for an elegy. But magic went its own way, and things happened as they did: the composition ultimately wrote itself and became this Requiem. Your Majesty is a piece originally written for the film Majesteit, a film about the Dutch queen Beatrix, that wound up not being used in the film. I later recorded this piece in a rock version with Kytecrash and played it with the band of the Dutch Royal Marines in the Concertgebouw in Amsterdam. "Wide musical framework underlies an album that is unique in its kind. Evensong is a great and compelling masterpiece." ""As in his four-part Evensong, this is a voluminous and enchanting masterpiece that changes from classical to jazz with excitement"
"This company came up with a record that can be count as one of Vloeimans best albums." "Evensong is musically convincing, from the beginning until the end"
"Evensong is another album poised on the increasingly blurred cusp of classical and jazz." ""Capitalising on his breathy timbre – almost more woodwind than brass – the four-part title-track blends weary, late-night trumpet lines with woozily lowing, Arabic-flavoured horns and strings, before acquiring an urban bustle akin to Bernstein in the climactic third movement""
""Eric Vloeimans Plays with a liberated trumpet""
"It is a small miracle of well-balanced beauty. Vloeimans' unparalleled velvet and sometimes whispering trumpet playing on this album is also regularly interspersed with fierce lashes and solid raw patches that just make it even more exciting." "Evensong is one heck of a CD, created for music adepts of all ages and all denominations." "This just might be Vloeimans' Magnum Opus." 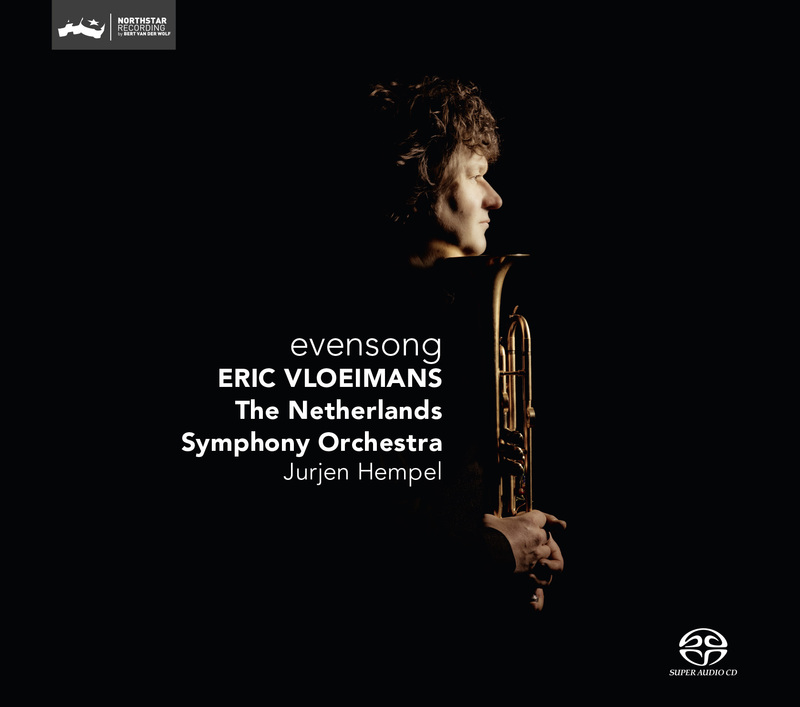 "Eric Vloeimans dares to think big; his distinctive trumpet sounds transferred to a full-blown orchestra recording." "A voluminous and enchanting masterpiece that fans out from classical music with sophisticated strings and pompous brass themese to exciting and suspensfull jazz parts." "You can hear the compassion, warmth and memories in Vloeimans' solos. Just for this beauty, it's a CD worth buying. " "The composition 'Evensong', in four movements, is a wonder of balanced beauty. ... a gem of an album!"